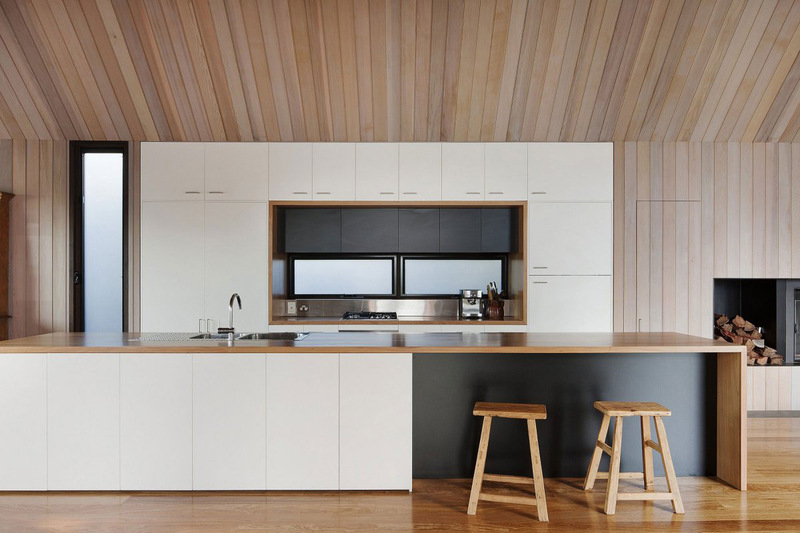 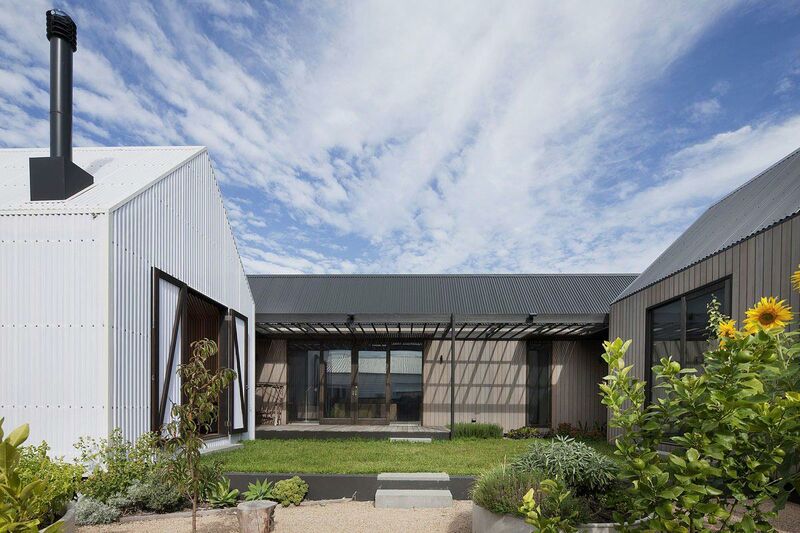 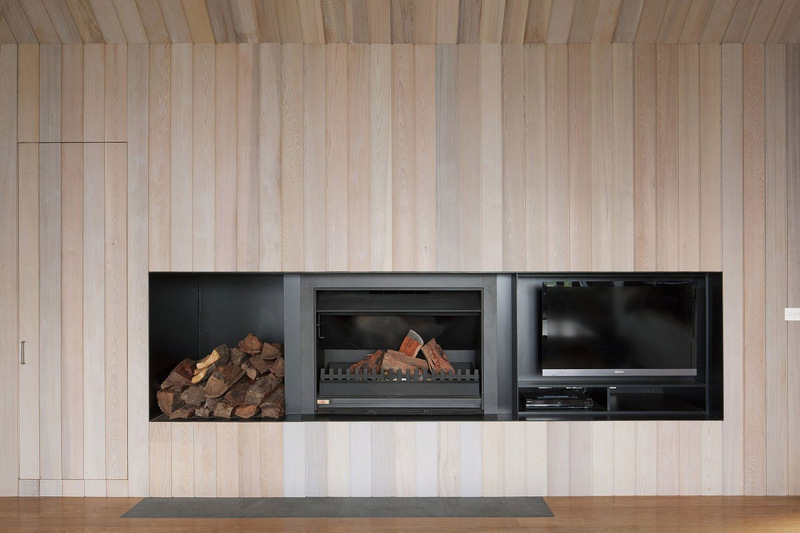 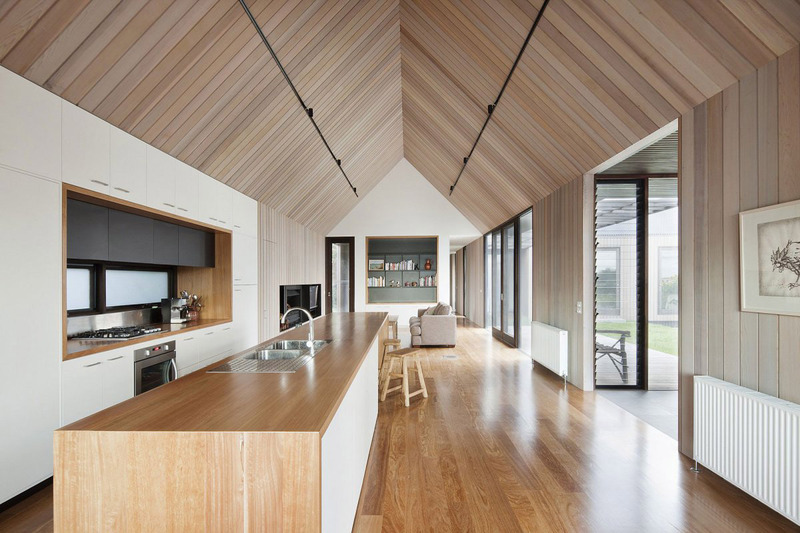 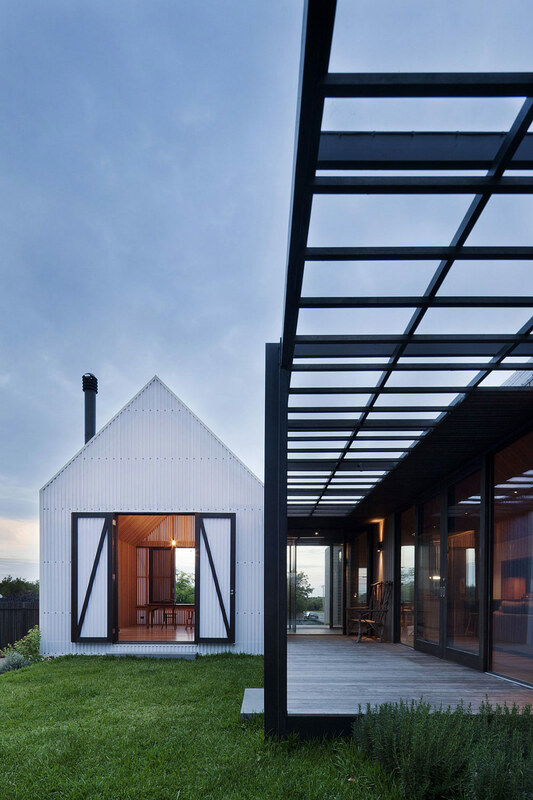 Seaview House was completed by the Melbourne based architects Jackson Clements Burrows. 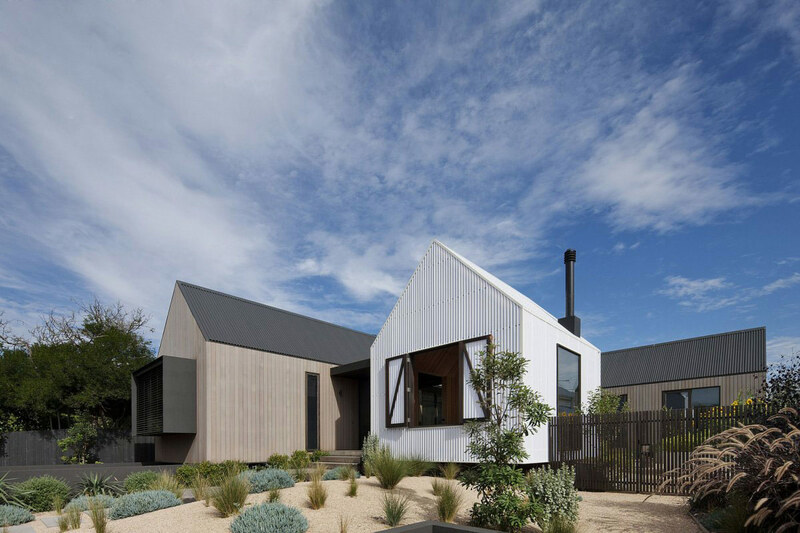 The clients wanted to rebuild their deteriorating beach house, this new compact contemporary home is now their permanent residence. 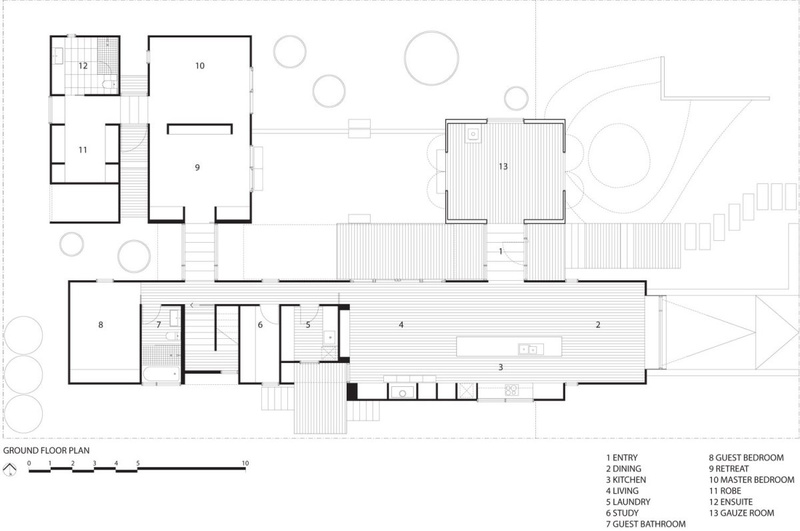 The dwelling is split into three main pavilions, these are connected by glazed links. 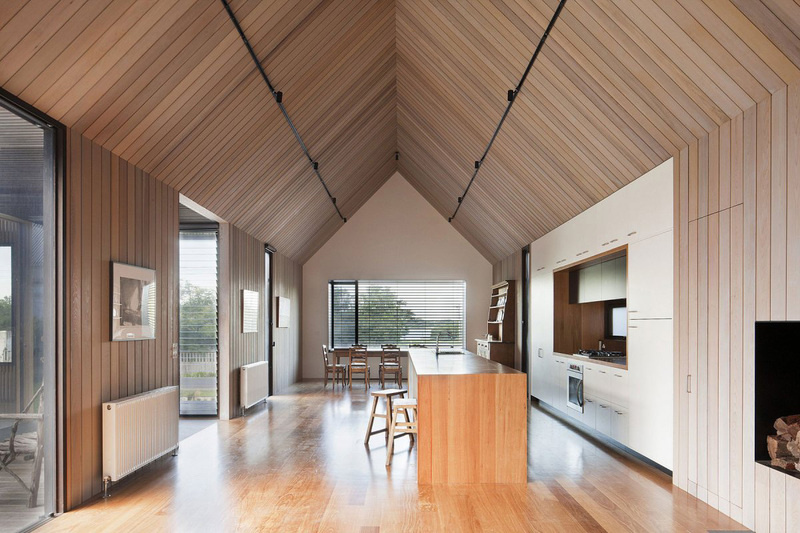 The south pavilions situation offers wonderful river views and provides the main living space including kitchen, study, guest bedroom and bathroom. 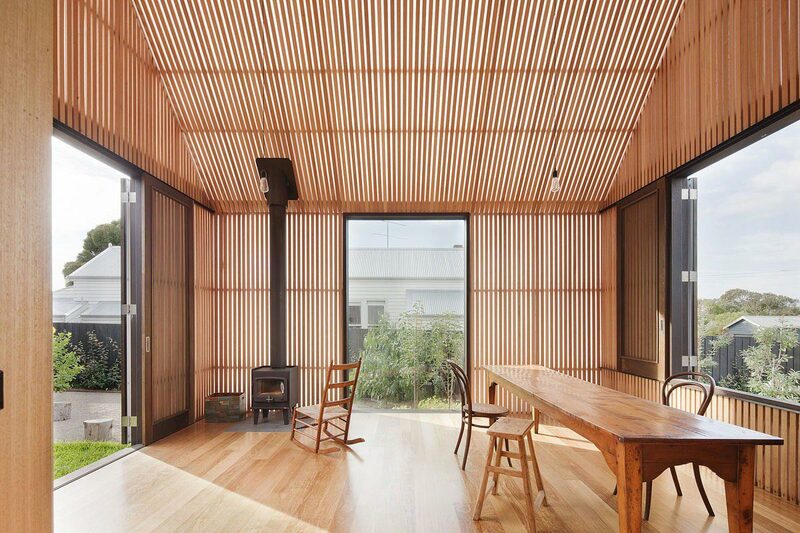 The Northwest pavilion houses the main bedroom with walk-in wardrobe and en-suite bathroom. 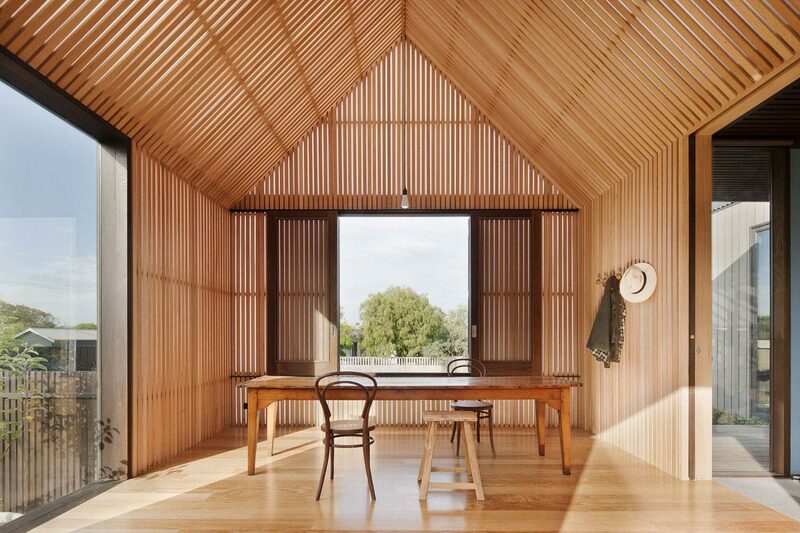 The Northeast pavilion provides a shaded gauze room. 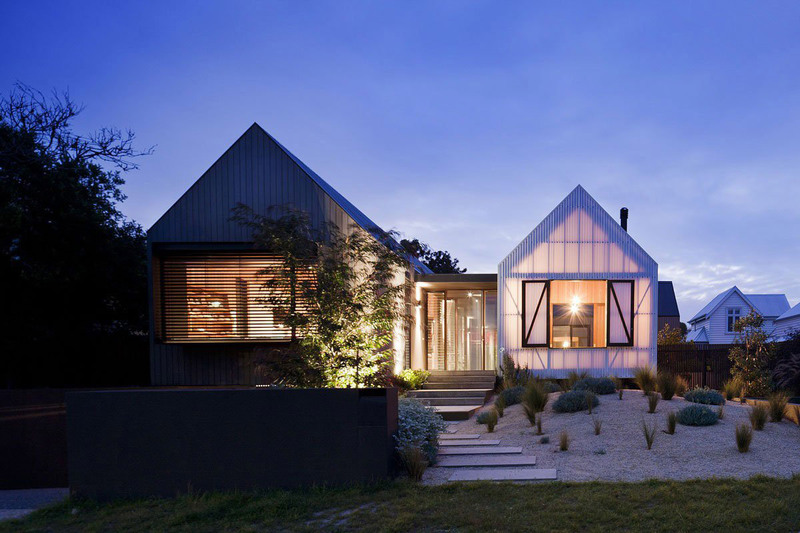 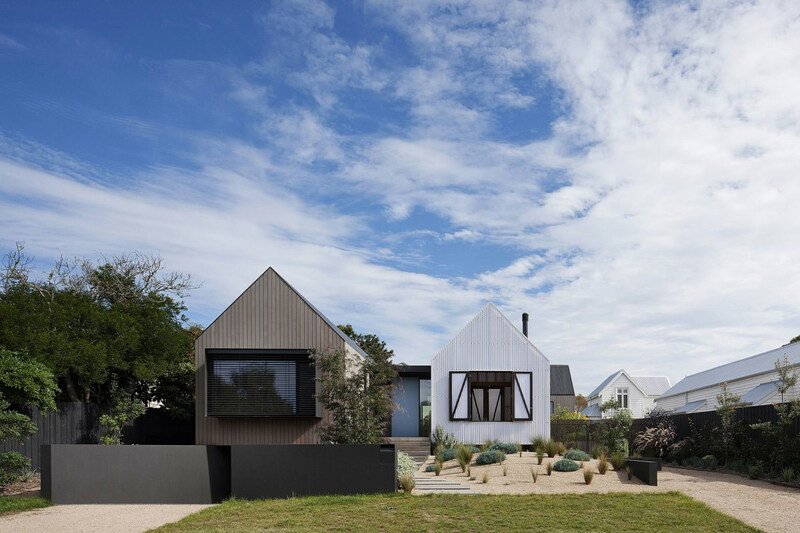 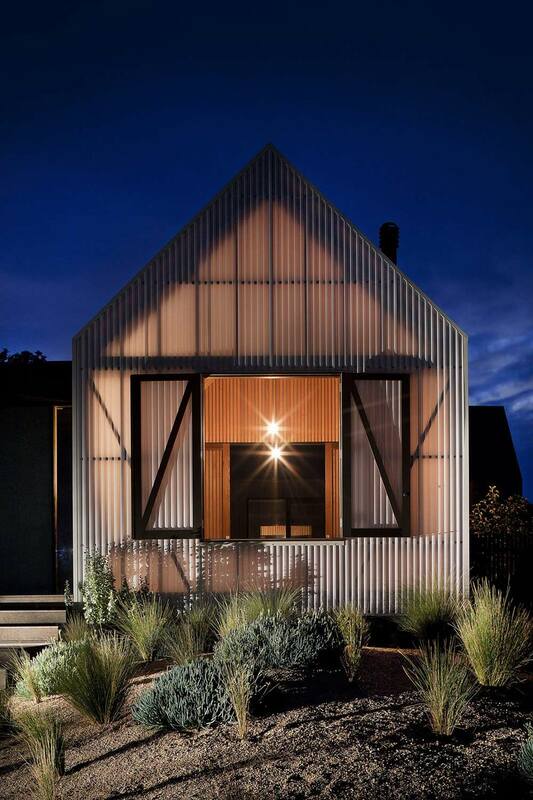 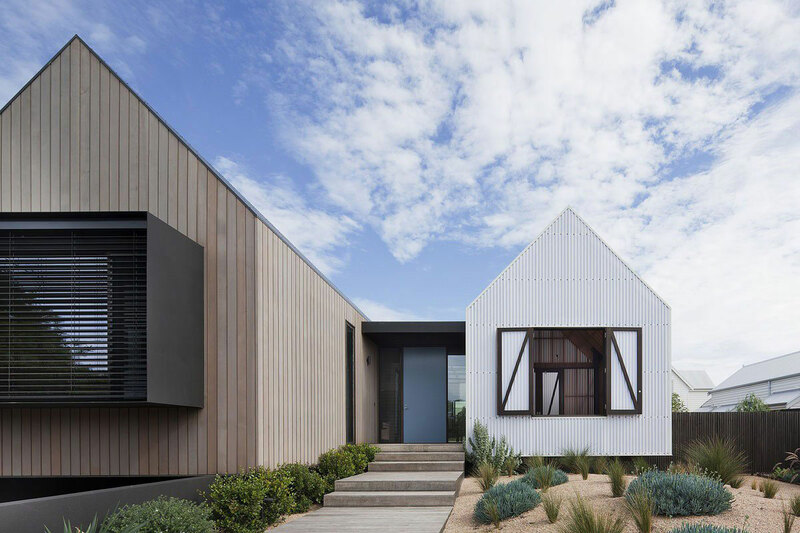 Seaview House is located in Old Barwon Heads, Australia.